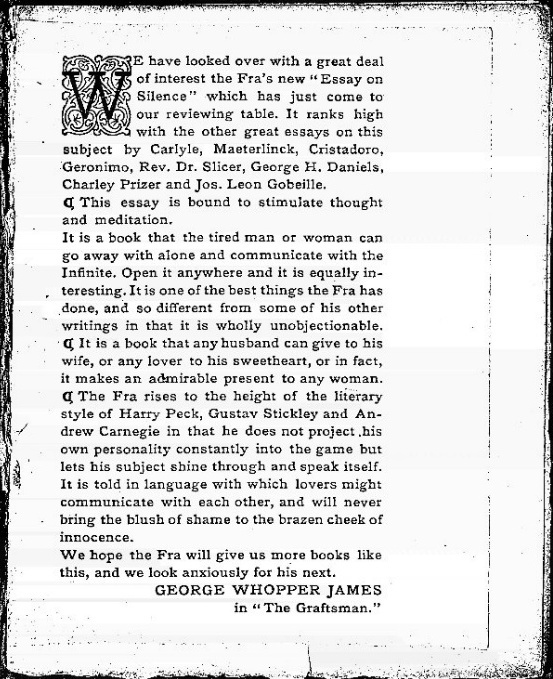 Advertisement for Essay on Silence by George Whopper James of "The Graftsman". I'm not sure if this is a complimentary add or swipe at Hubbard. It seems to be "Tongue in Cheek" and slightly sarcastic to me.